Randy Ulmer talks about using exercise bands for archery conditioning. 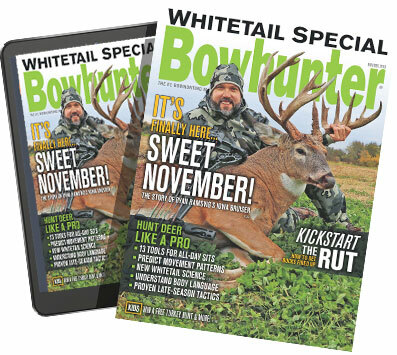 Editor Curt Wells returns to his favorite piece of Kansas dirt and takes his best buck ever. Mike Carney and Tony Peterson explain the benefits of yoke tuning. Curt Wells talks about how to deal with known string-jumpers. C.J. Winand and Larry D. Jones head to Arizona in pursuit of desert whitetails.